Former Trinidad Government Ministers run from Colman Commission appearances: Cowards? Crooks? Realistically cautious? We are entering the endgame of the Colman Commission, so we need to maintain full vigilance. We must bear witness in a sober manner. Former PNM Ministers Danny Montano, Conrad Enill and Mariano Browne were recently named by Commission Chairman Sir Anthony Colman as having declined to testify. 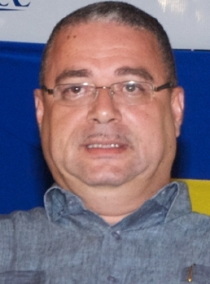 “It is noticeable that there has been a remarkable lack of cooperation from others, who were responsible for political decision-taking — to mention a few names: Mr. Enill, Mr. Browne and Mr. Montano in particular — have not offered to come and give evidence,” Sir Anthony said at Winsure Building, Richmond Street, Port-of-Spain. “It is surprising perhaps that those who were the political representatives of the people of Trinidad and Tobago have not been able to provide assistance to the Commission in circumstances where it might have been expected of them,” he added. “Colman chides 3 ex-ministers.” Trinidad and Tobago Newsday. October 23 2012. Colman then named three former Cabinet ministers who had been previously named in testimony at the enquiry in relation to the HCU. “To mention but a few names Mr (Conrad) Enill, Mr (Mariano) Browne and Mr (Danny) Montano in particular have not co-operated to come and give evidence,” Colman said. That refusal to appear before a Commission of Enquiry amounts to a kind of contempt of court, since it is wilful disrespect for a lawful enquiry. These are PNM Seniors, whose testimonies would have been invaluable in unraveling this series of financial collapses. 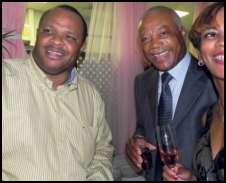 CL Financial – CLICO fraud: Dr. Terrence Farrell wilfully blind? Our old friend Afra Raymond takes issue with the former Deputy Governor, Central Bank of Trinidad and Tobago, Dr. Terrence Farrell and Farrell’s statements in support of the bank’s outgoing governor, Ewart S. Williams. Considering that Ewart Williams knew in 2004 that CL Financial Group was having serious trouble and was in violation of the law – and that Williams and the Trinidad Central Bank did nothing until the house of cards collapsed, Dr. Farrell’s praise is indeed misplaced and almost comical except for the great human tragedy that the Central Bank’s failures contributed to. Trinidad Express to publish Afra Raymond… after T&T Guardian shamefully caved to political pressure. When the history of the CL Financial / CLICO fraud is written, one courageous journalist will stand out: Afra Raymond. There is no one else in Trinidad or Barbados who has damned the torpedoes and charged straight ahead with the entire truth. No one. Afra Raymond is a T&T journalist whose effective investigation and analysis on the CL Financial scandal has continually exposed the unethical and illegal actions of many of the main players in the financial debacle. His work has aided the small investors who were abused and deceived. Afra alerted the taxpayers who were being set up to be raped again by politicians more interested in cover-ups than in asset protection and recovery. He is feared and despised by the wrong-doers because he is capable of so clearly and simply describing what the crooks did. If your last name is Parris or Duprey, you undoubtedly consider Afra Raymond to be a dangerous man. Afra has paid the price for his defense of the ordinary people, the people who trusted the financial elites like Leroy Parris and Lawrence Duprey. At the end of 2011, the Trinidad and Tobago Guardian who then published Afra’s work decided that they would secretly send his articles to politicians to preview and vet his writing prior to publishing! This was a breach of basic media ethics. Upon hearing that the editor was secretly sending his unpublished articles to selected politicians and big-ups – Afra, in very civilized terms, told the T&T Guardian to stick it where the sun doan shine. He resigned as any journalist of integrity would. Here we are six months later and the Trinidad Express has hired Afra to write a column. Good for the Express: the paper clearly stands head and shoulders above the Guardian. That is what Duprey, Parris and the rest of the CLICO – CL Financial clan are still doing to you and to me. Can’t wait for Afra’s first column at the Trinidad Express. It might or might not be on CL Financial – we haven’t been informed. But whatever the subject, we’re looking forward to once again seeing Afra Raymond in the traditional news media. Check out AfraRaymond.com where you’ll find some media interviews of Afra from June and May just passed. You’ll get angry as Afra Raymond chats in ‘The Barbershop‘ with John Wayne Benoit on i95.5FM about the CL Financial bailout and Public Procurement issues and other topics on June 30, 2012. Then go to May 4th on Early Morning with Hema Ramkissoon where Afra discusses ‘Government fails to deliver?’; a question on the minds of the construction industry.